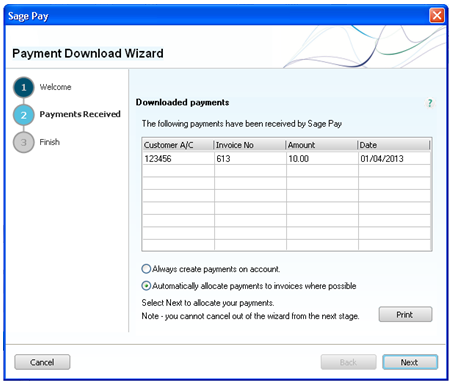 Now that you have linked your Sage Accounts software with your Sage Pay account you are able to use the Pay Now download wizard to import your transactions into your Sage Accounts software. The first thing you will need to do before using the wizard is to log into your Sage Accounts software. You can do this by double clicking the icon on your desktop to launch the software. 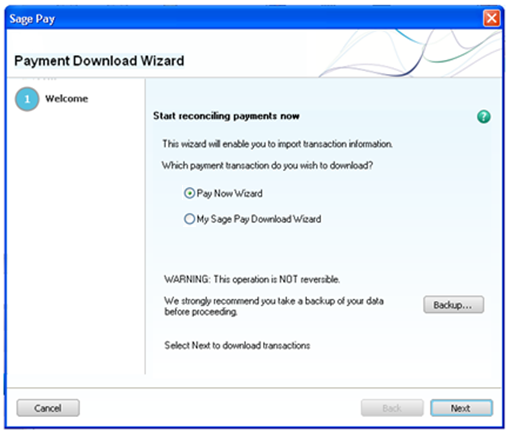 If selected when setting up the integration with Sage Pay your Pay Now download wizard will be launched when you sign into your accounts software. 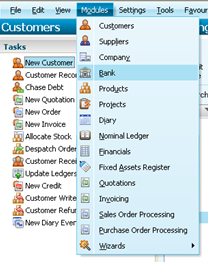 When adding the details of your Sage Pay account into your accounts software you are given the choice to launch the wizard whenever the software is opened. If the wizard does not launch when signing into your accounts software you will be able to launch this manually once logged in. To do this click on the Modules option from the top of the page, followed by Bank. 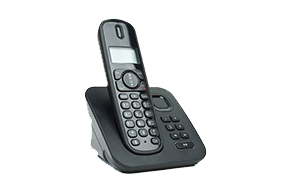 After selecting this you will be presented with a list of options down the left side of your accounts software. Included in this list of options will be “Online Receipts”. By selecting this you will then be able to launch the wizard within your sage accounts software. Now that wizard has been launched you will be able to proceed through and download the transactions that have been processed through your Sage Pay account. Important – If this is the first time you are using the wizard you will be presented with a date option before being able to proceed past this screen. The date box will allow you to select the date you would like the wizard to start from, you can only select this once, and once selected cannot be changed. 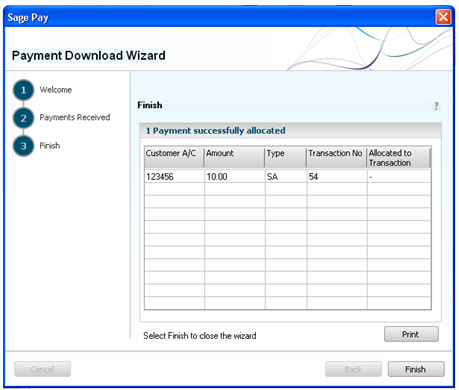 After selecting the Pay Now download wizard you will be able to proceed to the next step. After you have launched the wizard your accounts software will search our systems for all transactions that have been processed through your Sage Pay account. You will be shown all transactions that have been located on your sage pay account along with the details, and date of the payment. 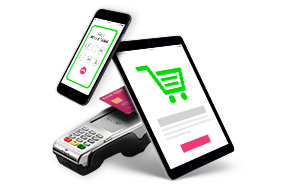 Always Create Payments on Account – Your accounts product will create a new invoice for each individual transaction regardless. Automatically allocate payments to invoice where possible – Your accounts product will assign each payment to the relevant invoice if created. After selecting your option you are able to complete this step and finish using the wizard. Now that you have located all of your transactions you are ready to finish using the wizard and download your transactions into your accounts software. You will be shown the final screen of the wizard which will allow you to complete the process. 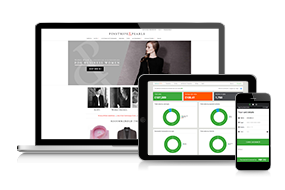 After clicking finish the wizard will complete the download and import the transactions into your accounts software.